Department of Biomedical Engineering Shobhit University, Meerut, organized three days industrial visit of Hardidwar and Dehradun The main purpose of this visit was to inform the basic processes involved in the food and nutrition industry, and provide information about many herbal plants and medicines and to learn how to prepare different medicinal chemicals. 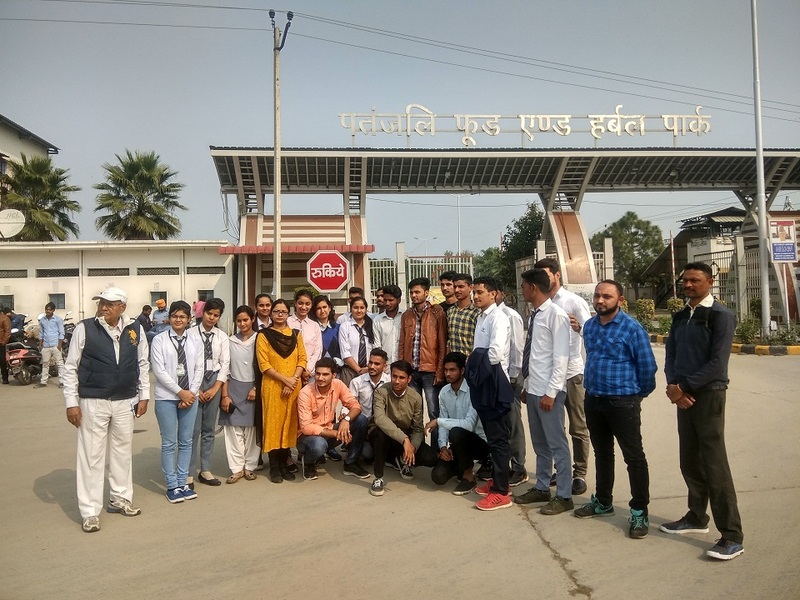 During this visit, students visited Patanjali Food and Herbal Park Haridwar, Shivalik Chemicals Dehradun, Forest Research Institute Dehradun. The journey Started from Shobhit University, Meerut on Date: 13th November, 2018 at 5:30am with some students, some were collected on the way of Haridwar. A total number of the 21 students along with the two faculty members Ms. Shiva Sharma and Mr. Rajath Othayoth went for the visit. Shivalik Visit: After enjoying the Patanajali visit and a long travelling we proceeded towards Dehradun, from where the next industrial visit was to be started. Due to the tiredness students wake up late in the morning around 8 am and get ready by 9:00 am then we took breakfast and enjoyed the parantha and tea and move towards the shivalik chemical that was our next destination. We reached there by 10:30 this company is famous to formulate the base chemical for the medicinal products as well as it deals with the deals with the agro chemicals , organic molecule band, organo-phosphorous compounds etc. After that we started toward the Forest Research Institute Dehradun to visit the SEED Lab and reached there by 03:30 pm. Dr. Manisha and Dr. Ombeer welcome us and help us to visit the lab. They showed us the germination process as well as variety of seeds and their testing procedures. After that we went to the tissue culture lab of Rudraksha as well as other medicinal plants, Bonsai garden, flowering and non flowing plants and their cultivation process. Student enjoyed the labs and take lots of photographs for their memory.